There are so many things to consider following the confirmation that you are pregnant. Which hospital to attend, who will be your obstetrician, which pram to choose and where will your baby sleep are just a few things to consider. The last thing on your mind is which bibs to buy and if you need them at all. We will help you to decide what are the options when it comes to buying bibs and answer some of the most common questions we are asked. Firstly, do newborns need bibs? Generally, we suggest for newborns to wear them as some babies do spit up during breastfeeding and feeding in general. This will also save you from having to wash the babies clothes after every feed. We also recommend that the fastener is on the side as it is easier to affix and remove for newborns. You may also be curious as to how long they will be using bibs. Like everything with babies, this will depend on a number of things including reflux, teething and generally your baby as a whole. We find that most babies use them from newborn to two years however every baby is different. So how many bibs will you need? Once again this will depend on a number of things. Have they started teething and are they a heavy drooler? Some parents will be able to survive with just a few while others will need a large amount. Our suggestion is to start off small and if you do have a baby that is a heavy drooler, suffers reflux or a messy eater you can always get some more. Every house should have one of these. 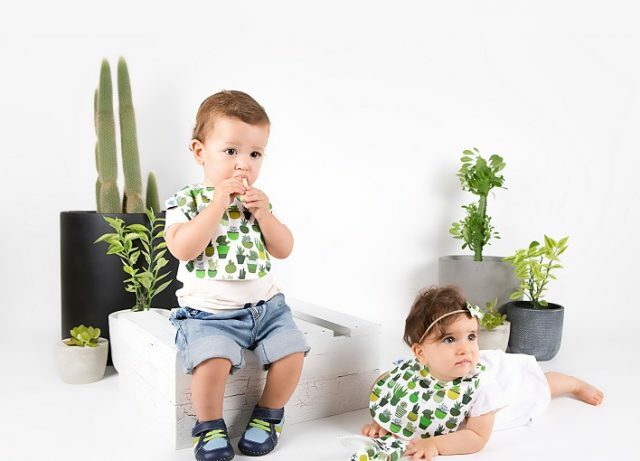 The smock is easy to clean, long sleeve and made with a thin plastic bib that can be used during feeding. You will also find that it has many uses including feeding, painting, arts and crafts and even playing in the dirt. There are many types of feeding bibs to choose from. The main type is the rubber design that has a catchment trough at the bottom. This is easy to clean and great for catching food before landing on the floor. These are the best type of bibs for newborns and are designed for smaller babies. These are normally made from fabric and are small in size compared to the larger bibs. The larger bibs can be used for feeding as they cover more of the babies clothing. Also when your baby starts teething they will protect your babies clothing from a large amount of drool they produce. These are generally made from fabric however plastic ones are available too. 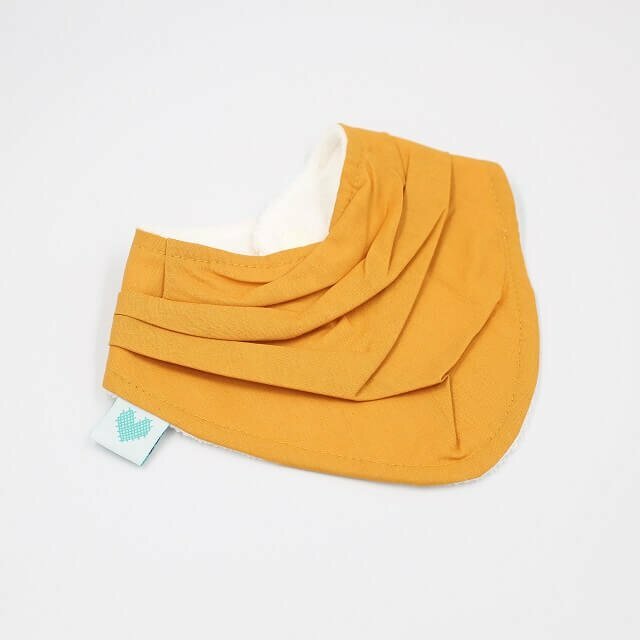 Predominantly used during teething time, the bandana dribble bibs are the best baby bibs for drooling and are one of the most popular types available. These are made with fabric and have pleats which capture the drool and stop it from seeping through to the babies skin. These are the most stylish and are used on a daily basis. The higher quality types have cotton bamboo backing that is ultra absorbent and are softer on their skin. These have recently become fashionable and are generally only used on special occasions. They are a standard style bib complete with baubles and lacing. Combining a standard bandana dribble bib with a dummy chain and you have a binky bib. Designed for babies who use pacifiers to ensure the dummies don’t go missing. We have designed the Bandummy that combines style with practicality. There are a variety of materials to choose from including rubber, plastic and fabric with the fabric options normally made with cotton or organic cotton. The backing is one of the most important parts of the bib as this may sit against the babies skin. Superior quality bibs have towelling or a cotton bamboo backing which is soft to touch and should not irritate the babies skin. Bamboo is also very absorbent which ensures that minimal drool leaks through to the babies clothes and skin. Another positive to use bamboo for the backing is that it is environmentally friendly as it replenishes at a fast rate and is a is renewable material. Bamboo is the fastest growing woody plants in the world and generates up to 35% more oxygen than equivalent stands of trees. To fasten the bibs there are several options depending on the manufacturer. The most common is the plastic KAM snap style of fasteners. This is easy to open and close fastener which is extremely practical. It also is designed so babies can’t undo the fastener themselves. This type is also made in metal however not as common. Depending on the manufacturer they will add one or two fasteners. The benefit of having multiple fasteners is that it means they are adjustable. Another type of fastening device is the drawstring. Once again not very common however they are popular on the vintage style bibs. We hope that this has been useful for you to determine which will be suitable for you and your baby. Please make sure that any babies wearing bibs or neck attire be supervised the whole time. We wish you the best for your pregnancy and the exciting times of being a parent.